With 157 car spaces, the Light House residential apartment building in Elizabeth Street, Melbourne, is one of Australia’s largest car stackers. The Light House is an award winning residential apartment tower in Elizabeth Street Melbourne. We’re proud to say it is also home to one of Australia’s largest car stackers. Delivering the car stacker was a huge collaboration with architects at Elenberg Fraser, builders Multiplex and developers Hengyi Pacific. The team included structural engineers, fire engineers, traffic engineers and many other consultants working together to ensure construction of the car stacker adhered to council regulations and met the needs of the client. Our German engineers were heavily involved with the process, and the entire project took two years to plan, design, manufacture and install. At the time it was the largest car stacker in Australia, and it gave our team plenty of experience in the requirements and compliance involved in installing car stackers of this size in Australia. We’re now able to share that experience with more clients wanting projects of this size. Councils legislation requires that residential apartments come with adequate provisions for car parks, and traditional car parks take up huge amounts of space. With a car stacker in The Light House, it was located in a dark windowless corner which was unsuitable for apartments. This car stacker was not able to be fitted underground, so using a dark corner was the best solution. It also does away with ramps, and with less space needed for height, more cars can be fitted into a smaller space. This gave the architect the opportunity to add extra features to the building, making it more appealing to both the developer and the ultimate customer – the buyers. The car stacker has two entrance cabinets and two lifts, meaning if another user comes to retrieve their car, they don’t need to wait if someone is ahead of them. The system is also designed to be easily used by people with a disability; making our products accessible for all users is a priority for us. 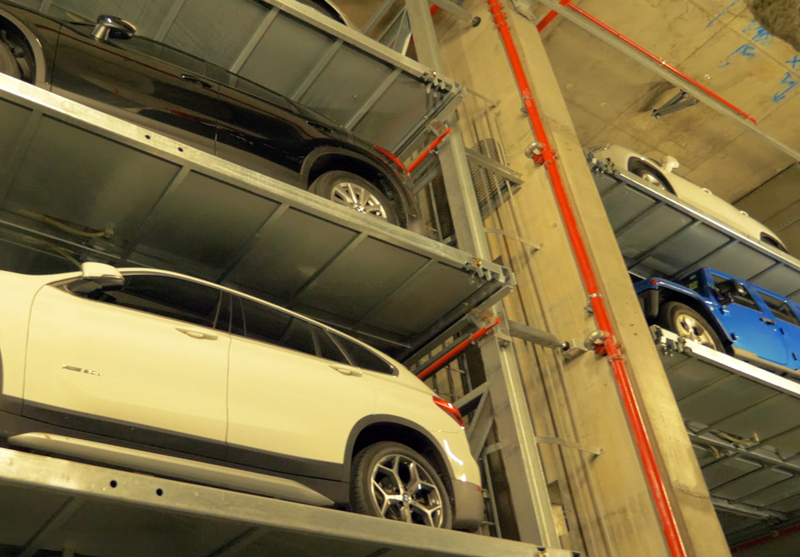 When the project was featured on Open Homes Australia, the developer from Hengyi Pacific, Dean Fossey, said the car stacker was his favourite part of the project. How Long Does It Take To Build And Install A Car Stacker?